Back home, we have a new lodger of course. Daughter has moved back in and is now a week into her new job in Nottingham. We’re straight back on the film trail tonight. 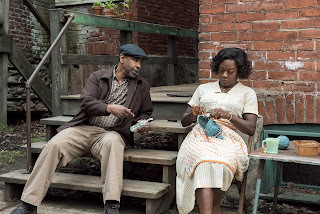 Fences is an adaptation of an award winning play by August Wilson and even on the big screen it still feels very much like a play being very dialogue driven. There is a very small cast and very few scene changes, in fact very few scenes at all but those that are there are quite long. So perhaps it could have been more concise but if people standing out in the yard talking about not much of consequence is your thing, then this is for you. 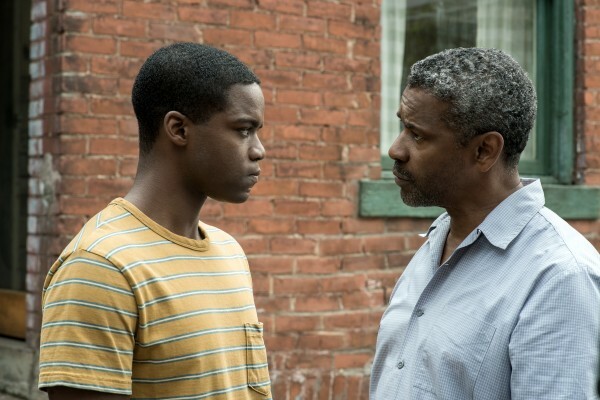 It’s the sort of thing that some directors, say like Quentin Tarantino, are fond of doing, so how will Denzel Washington get on? This is very much his baby (excuse the pun, that bit comes later) as he is both the director and the lead actor. It is 1950's Pittsburgh, Troy Maxson (Washington) is a former baseball player and an ex-con who now works as a dustman along with his friend, Bono (Stephen Henderson), the only white face in the film. 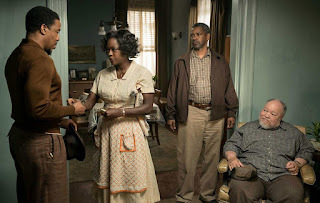 Every evening Troy comes home to his wife Rose (Viola Davis) and his son Cory (Jovan Adepo). While on payday, Troy's son by his first wife, Lyons (Russell Hornsby), drops in for a loan to prop up his ‘career’ as a musician, a loan which Troy always resists. Then there is Troy's brother Gabriel (Mykelti Williamson), whose house they are living in because Gabriel, who suffered a head injury in the war, is too busy battling imaginary hellhounds in his head. Oh, and Troy’s building a fence either to keep something out or to keep something in. 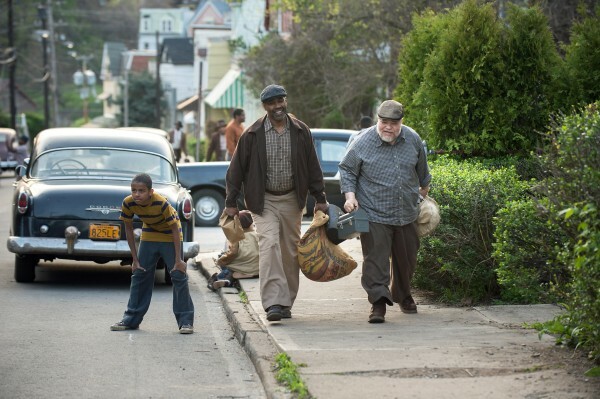 The film drip feeds us bits of his life story as we go along. Troy is a bitter man, resentful that he feels his baseball career stalled because of his colour but unwilling to acknowledge that times are changing and so he prevents his son from taking up a place on the college football team because, he says, the same thing will happen to him. Troy is a complex character but thoroughly selfish and unlikable, ironically the prejudices that once held him back he now seems determined to keep alive and to inflict on everyone else. Yet his wife stands by him throughout even when it is revealed he’s had an affair and is soon to be a father all over again. In fact, everyone holds him up as being a great man except his son. After having had all other avenues to better himself closed off by his father, he leaves home to explore the only career left open to him in the Marines. As a film it is powerful and engaging, what it lacks in actual story it makes up for with some very strong performances. Denzel Washington really inhabits his role and is very good but Viola Davis is even better.